Pink Floyd will reissue their 1995 live package, “Pulse”, for the first time in many years on heavyweight 180-gram vinyl on May 18. The 4LP set captured the UK outfit in concert on a 1994 European tour in support of “The Division Bell” and delivered their 1973 album classic, “The Dark Side Of The Moon”, in its entirety for the first time in almost two decades. Remastered from the original tapes by James Guthrie, Joel Plante and Bernie Grundman, the 2018 “Pulse” reissue includes four different inner sleeves – each inside individual outer sleeves – alongside a 52-page hardback photo book. 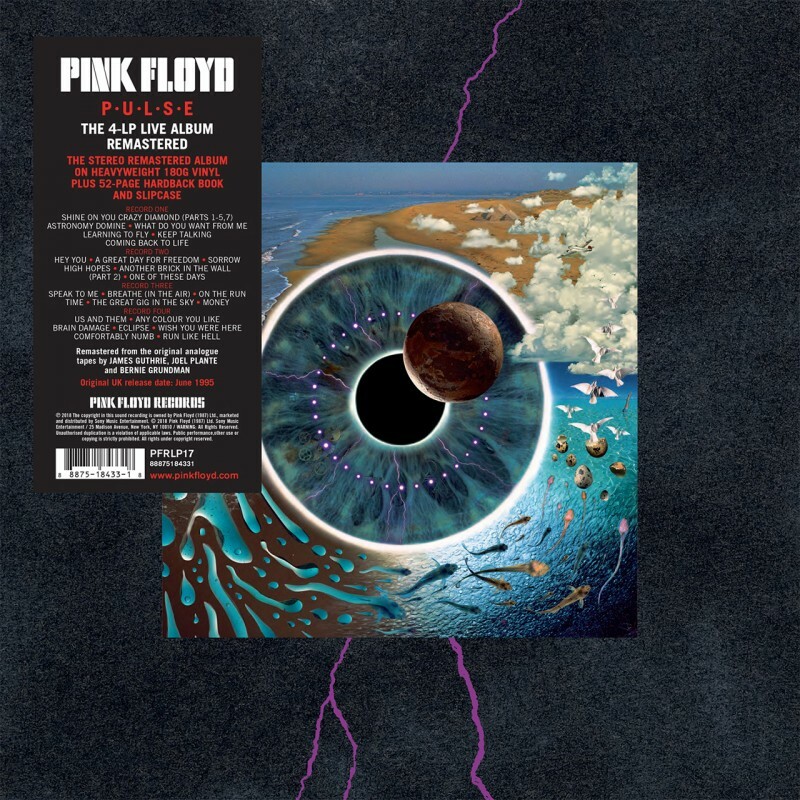 Aubrey Powell of Hipgnosis and Peter Curzon, who worked on the original art with the late Hipgnosis co-founder Storm Thorgerson, recreated the art package. Upon its original release, “Pulse” topped the charts in more than a dozen countries, including a No. 1 debut on the US Billboard 200. The latest project in Pink Floyd’s ongoing vinyl reissue series arrive a month after the group will release a newly-remastered mono version of their 1967 debut album, “The Piper At The Gates Of Dawn”, on vinyl as part of Record Store Day on April 21. Recorded at Abbey Road Studios by the band’s original lineup of vocalist/guitarist Syd Barrett, bassist Roger Waters, keyboardist Richard Wright and drummer Nick Mason, the project introduced Pink Floyd beyond the UK underground scene while being hailed as one of the greatest psychedelic albums of all time.